When economists describe the supply and demand model in introductory economics courses, what they often don't make explicit is the fact that the supply curve implicitly represents quantity supplied in a competitive market. Therefore, it's important to understand precisely what a competitive market is. 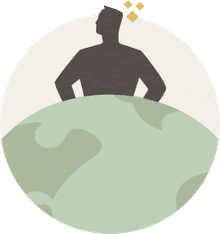 Here is an introduction to the concept of a competitive market that outlines the economic features that competitive markets exhibit. Competitive markets, which are sometimes referred to as perfectly competitive markets or perfect competition, have three specific features. The first feature is that a competitive market consists of a large number of buyers and sellers that are small relative to the size of the overall market. The exact number of buyers and sellers required for a competitive market is not specified, but a competitive market has enough buyers and sellers that no one buyer or seller can exert any significant influence on the dynamics of the market. Essentially, think of competitive markets as consisting of a bunch of small buyer and seller fish in a relatively big pond. The second feature of competitive markets is that the sellers in these markets offer reasonably homogenous or similar products. In other words, there isn't any substantial product differentiation, branding, etc., in competitive markets, and consumers in these markets view all of the products in the market as being, at least to a close approximation, perfect substitutes for one another. This feature is represented in the graphic above by the fact that the sellers are all just labeled as "seller" and there is no specification of a "seller 1," "seller 2," and so on. The third and final feature of competitive markets is that firms can freely enter and exit the market. In competitive markets, there are no barriers to entry, either natural or artificial, that would prevent a company from doing business in the market if it decided that it wanted to. Similarly, competitive markets have no restrictions on firms leaving an industry if it is no longer profitable or otherwise beneficial to do business there. The first 2 features of competitive markets--a large number of buyers and sellers and undifferentiated products--imply that no individual buyer or seller has any significant power over the market price. For example, if an individual seller were to increase its supply, as shown above, the increase might look substantial from the perspective of the individual firm, but the increase is fairly negligible from the perspective of the overall market. This is simply because the overall market is on a much larger scale than the individual firm, and the shift of the market supply curve that the one firm causes is nearly imperceptible. In other words, the shifted supply curve is so close to the original supply curve that it's hard to tell that it even moved at all. Because the shift in supply is nearly imperceptible from the perspective of the market, the increase in supply is not going to lower the market price to any noticeable degree. Also, note that the same conclusion would hold if an individual producer decided to decrease rather than increase its supply. Similarly, an individual consumer could choose to increase (or decrease) their demand by a level that is significant on an individual scale, but this change would have a barely perceptible impact on market demand because of the larger scale of the market. Therefore, changes in individual demand also don't have a noticeable impact on the market price in a competitive market. Because individual firms and consumers can't noticeably impact the market price in competitive markets, buyers and sellers in competitive markets are referred to as "price takers." Price takers can take the market price as given and don't have to consider how their actions will affect the overall market price. Therefore, an individual firm in a competitive market is said to face a horizontal, or perfectly elastic demand curve, as shown by the graph on the right above. This type of demand curve arises for an individual firm because no one is willing to pay more than the market price for the firm's output since it's the same as all of the other goods in the market. However, the firm can essentially sell as much as it wants to at the prevailing market price and doesn't have to lower its price in order to sell more. The level of this perfectly elastic demand curve corresponds to the price that is set by the interaction of overall market supply and demand, as shown in the diagram above. Similarly, since individual consumers in a competitive market can take the market price as given, they face a horizontal, or perfectly elastic supply curve. This perfectly elastic supply curve arises because firms are not willing to sell to a small consumer for less than the market price, but they are willing to sell as much as the consumer could possibly want at the prevailing market price. 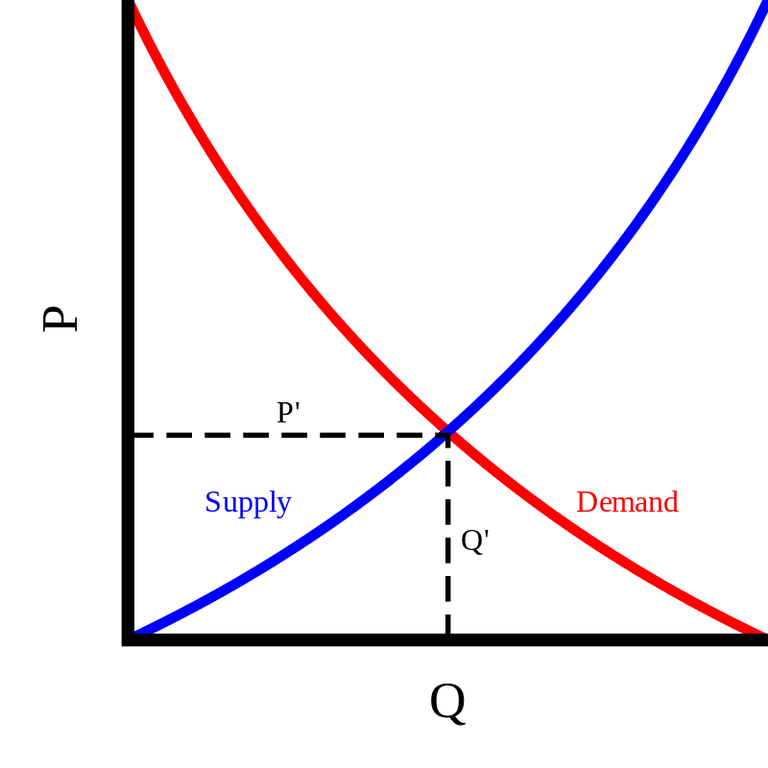 Again, the level of the supply curve corresponds to the market price determined by the interaction of overall market supply and market demand. The first two features of competitive markets--many buyers and sellers and homogenous products--are important to keep in mind because they affect the profit-maximization problem that firms face and the utility-maximization problem that consumers face. The third feature of competitive markets--free entry and exit--comes into play when analyzing the long-run equilibrium of a market. How Are the Marginal Revenue and Demand Curves Calculated?